The National Blood Service Zimbabwe (NBSZ) has embarked on a programme to identify and assist blood donors who make a mark in promoting the culture of donating blood by giving them medical cover. The initiative will see blood donors being identified and getting assistance from the blood bank. NBSZ Public Affairs Manager, Ms Esther Massundah, who handed over a medical cover package to Zimpapers Sales Executive and blood donor, Emmanuel Nyamande who lost an arm due to a road traffic accident last year, said the gesture will be an annual event, aimed at thanking blood donors who mobilise and recruit new members. "This is a way to thank blood donors and also is a way of mobilising and recruiting more donors. He [Nyamande] has done a lot in disseminating information on blood donation and this [medical package] will cover his medical bills and the procurement of an artificial arm," she said. The inaugural recipient of the cover, Mr Emmanuel Nyamande, who received six pints of blood after the accident, thanked the NBSZ for the assistance and urged people to donate more blood, saying had it not been for the blood he received, he would not be alive. "If it was for the blood that I got in time, I could have passed away, so please donate blood,' said Nyamande. The month of December records high fatal road traffic accidents and the NBSZ has embarked on a nationwide campaign to collect more blood. 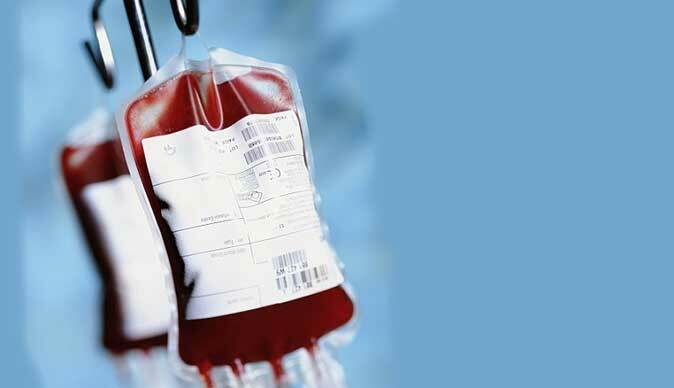 The national blood bank usually stocks between 1500 and 2000 units, representing approximately 7 days' supply.